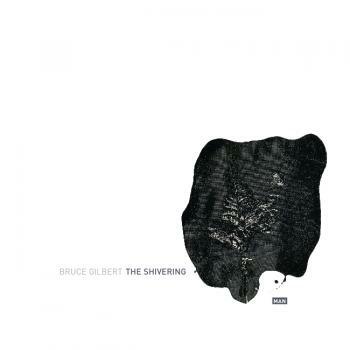 The Shivering Man, originally released in 1986 on Mute (STUMM 39), was Bruce Gilbert’s second solo album. Following on from his 1984 masterpiece This Way (recently reissued as eMEGO 102), it further explores Gilbert's investigations into the grey border where abstract noise and rhythm co-exist with obscure melodies and song structures. The sound is further expanded with guest vocal appearances by Angela Conway and fellow Wire traveller Graham Lewis. This is also the first time the complete album is available domestically on CD. Previous CD issues were the This Way to The Shivering Man on Mute (with Net In The Feather, There Are and Eline Cout II missing), and the Japan only 3 CD box with This Way, Shivering Man and Insiding previously released by Alfa Recordings. This 25th Anniversary reissue is remastered by Russell Haswell and contains a re-work by Dave Coppenhall on Angela Conway’s original artwork. As a bonus a short Angela Conway video featuring Michael Clark originally broadcast in 1987 on Channel 4, has been included.